Valentine's Day is celebrated all over the world, ( in every language ) on February 14. Here you will find the best love images in Marathi, b'coz the love is one of the purest feelings and should be expressed in a language which is nearest to the heart. 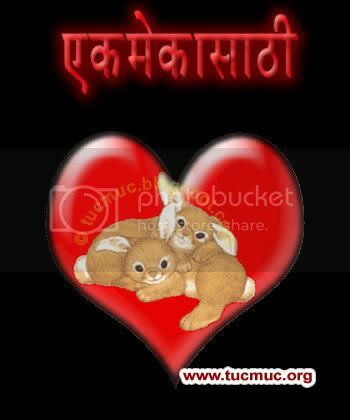 So celebrate this day with your "Heart" friends by sending the colorful marathi cards to them.